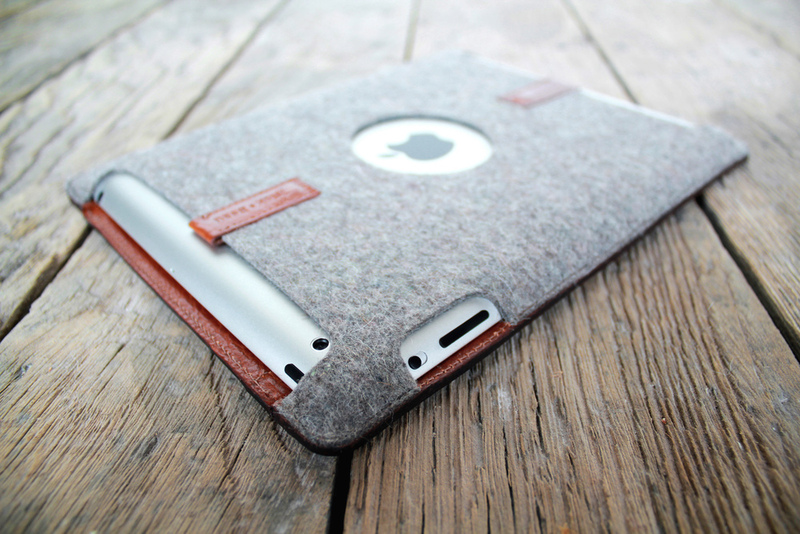 PaletteCase is a distinctive felt and leather case for the iPad. Designed in collaboration with my brother, Beau. Realizing that hand fatigue was a problem when holding an iPad for extended periods, I took inspiration from an artist's palette to design a better way of handle the tablet. By adding a hole into the back of the case, it allows you to move the weight to your palm, rather than holding it from the edge. The central, circular cut out also allows you to effortlessly pivot from portrait to landscape view. The cover can be removed and folded for use as a viewing stand. Magnets embedded in the cover and back of the case keep it firmly attached. With a simple flip, you're now ready to comfortably type.